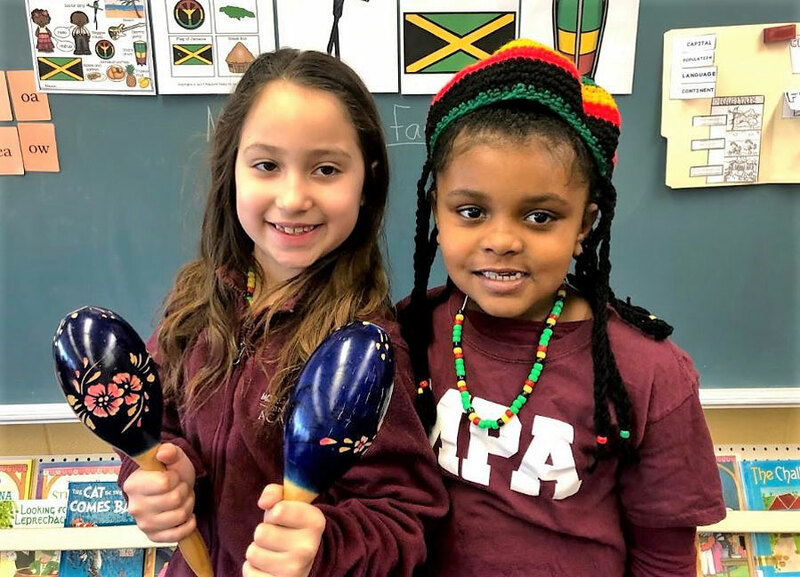 One key part of Morgan Park Academy’s global curriculum is a school-wide Global Week each March. 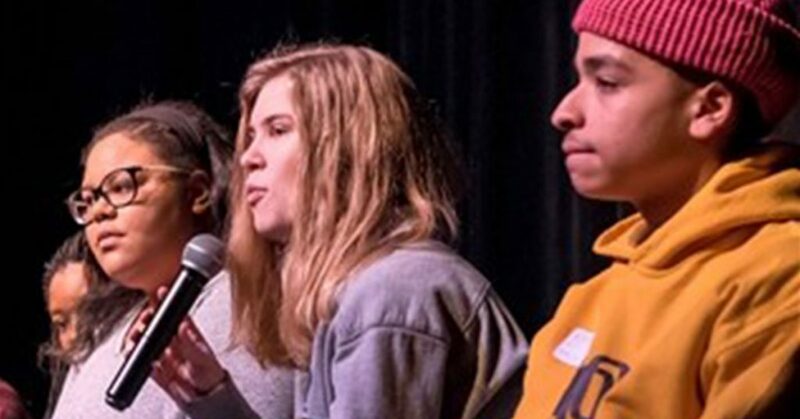 Upper School and Middle School students and teachers come together outside the classroom to share a broader range of learning experiences focused on language and culture, service, and sustainability. 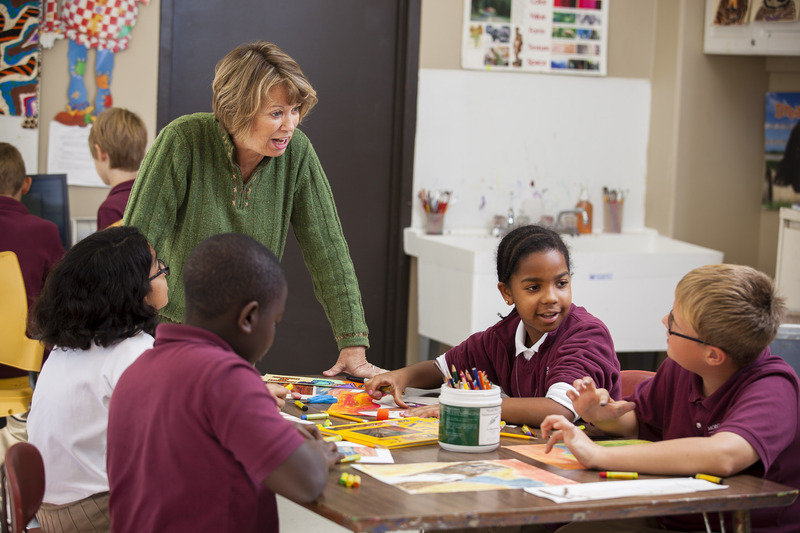 Lower School students explore the world’s countries and cultures closer to home. 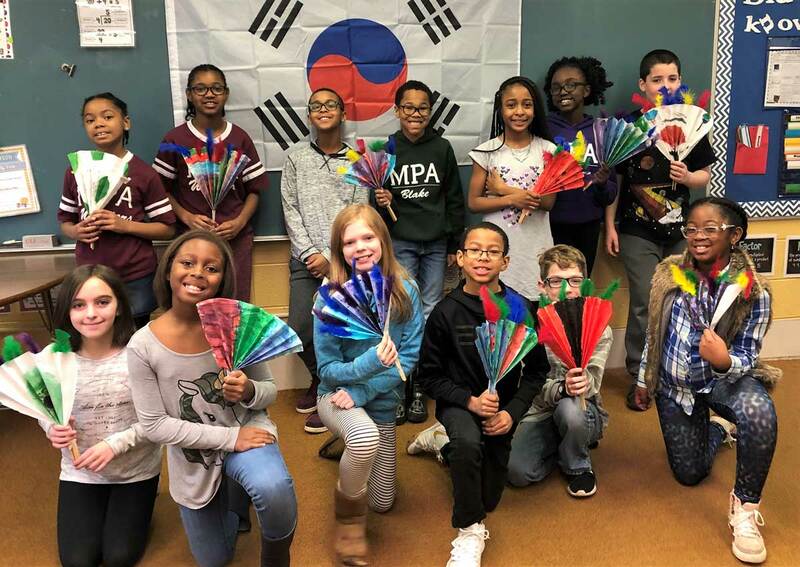 This year’s experiences included trips to South Korea, Germany, Hawaii, the Great Smoky Mountains, Washington, D.C., and a working ranch in Arkansas; and local explorations of nature, yoga, and Chicago history from March 18-22..
South Korea is a high-tech, trend setting nation with a reverent, old soul. With a rich cultural history, delicious local cuisine, a bounty of the latest technological advances, fashions and more, a visit to the Land of the Morning Calm was a unique experience that blended the old and the new. 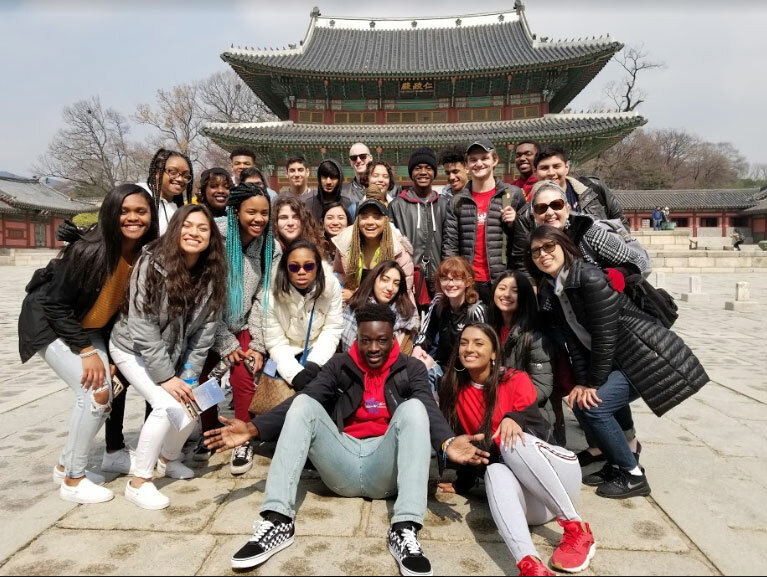 Students visited Seoul, a capital city where modern skyscrapers, high-tech subways, and pop culture meet Buddhist temples, palaces, and street markets. This huge metropolis is considered a leading and rising global city with five UNESCO World Heritage Sites. Students also appreciated extensive historical remains through two cities, Gyeongju and Andong. Gyeongju is a city on South Korea’s southeast coast and known as a museum without walls. Visiting the Demilitarized Zone (DMZ) to view North Korean territory from the Dora Observation Platform was a once-in-a-lifetime experience. Chicago and Hamburg, Germany, have been designated sister cities by Sister Cities International, an organization that fosters friendship and mutual understanding between people throughout the globe. Hamburg is the major port city in northern Germany, with a long history of trade, sea faring, and commerce. 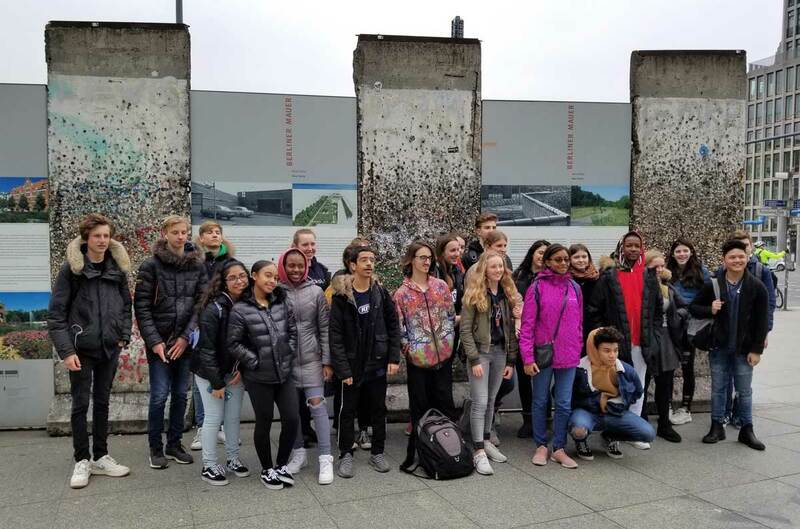 The remainder of the trip, students visited the U.S. consulate, Old City Hall, took a harbor tour, and saw the Elbphilharmonie Plaza (music center), Lubeck (a medieval village), the Baltic Sea, Berlin parliament, Speicher Stadt (the ancient warehouse district), and HafenCity, one of the Europe’s largest inner city development and urban regeneration projects. Our group spent an action-packed five days immersed in the natural splendor of the Great Smoky Mountains. We spent a lot of time hiking. We hiked to a cave that required us to hike uphill for two miles, cross narrow bridges and avoid mud and ice. 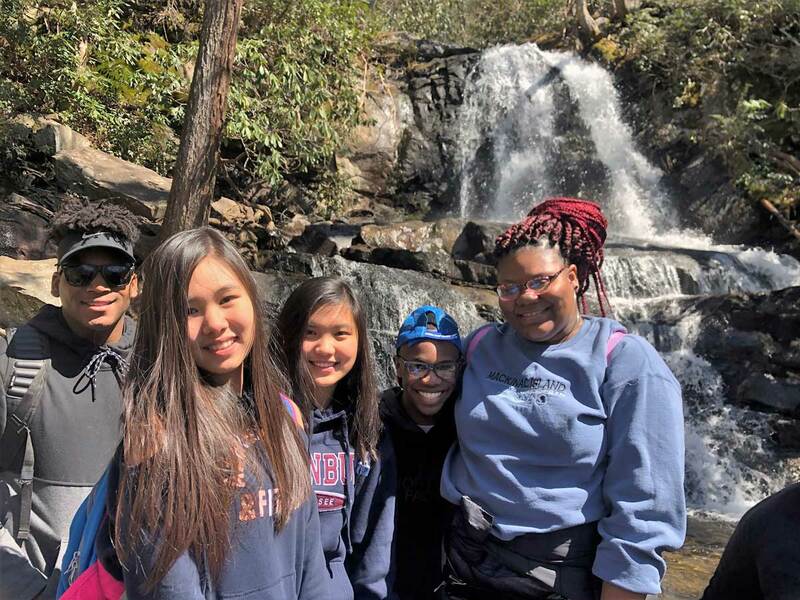 We hiked to Laurel Falls, another uphill hike, this time to a waterfall, and down, and then up again in the Tallulah Gorge (more than 1,000 steps). We also took a short gondola ride from Gatlinburg up to the ridge, which gave us a view of the mountains from above. But it wasn’t all mountains and open sky. We also walked through the Tuckaleechee Caverns, where we saw the wonders that water can create underneath the earth and learned that the sensors in various caves can pick up and record earthquakes all over the world. The cave we visited is part of a program to monitor and detect any nuclear weapons testing that goes on anywhere in the world, as their seismic footprint is distinctively different from an earthquake and travels through the bedrock all over the world. Our group also enjoyed a day of pure adventure in Pigeon Ford when we went zip-lining and white water rafting. We had a very touristy romp through an old feud at the Hatfield and McCoy dinner theater and spent time together on the bus, in the hotel, in the pool, etc. All in all, it was a fun and pleasantly tiring trip in which we built teamwork skills and relationships, explored the natural world, and tried out some adventurous activities. Students spent six days and five nights studying the history and culture of Hawaii. Trip highlights included attending a luau to learn about the seven Polynesian cultures. Students learned about the marine life unique to the Hawaiian Islands and got to swim with sea turtles. In addition, they had a nighttime opportunity to study the stars and planets visible in Hawaii and visited Pearl Harbor, the U.S.S. Arizona Memorial, and the U.S.S. Missouri. Other parts of the project included hiking to the top of Diamond Head, which will be rewarded with a catamaran trip and an opportunity for some underwater exploration. 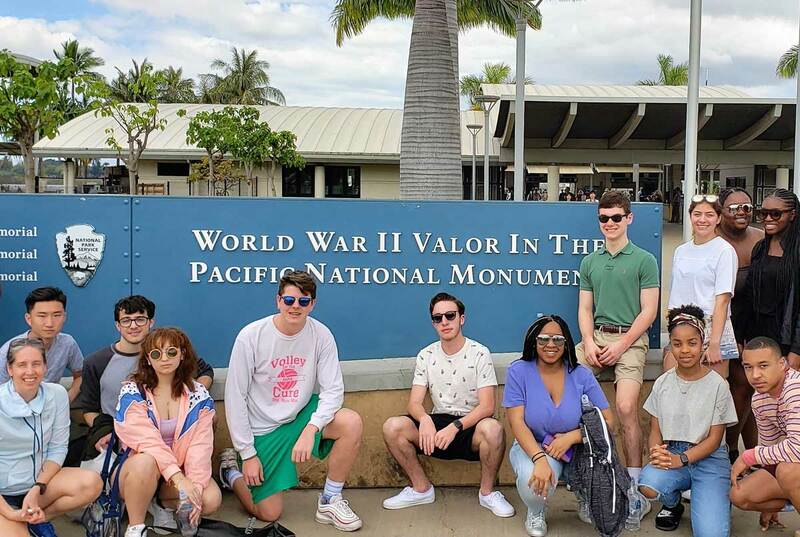 They also visited the National Cemetery (Punch Bowl Cemetery) located in an inactive volcano, Washington Place, the King Kamehameha Statue, the State Capitol, and toured the Iolani Palace, which is the only palace on American soil. An Eastern Island tour of Oahu included visits to the famous Blowhole and Pali Lookout. Despite the busy schedule, students also enjoyed some free time in the sun at Waikiki Beach. Students explored the city of Chicago, appreciated its origins, and understood how it came to be the city that it is today. We explored the origins of Chicago from Fort Dearborn located on the Chicago River leading the city’s expansion into a thriving commercial and banking leader in this world-class city. 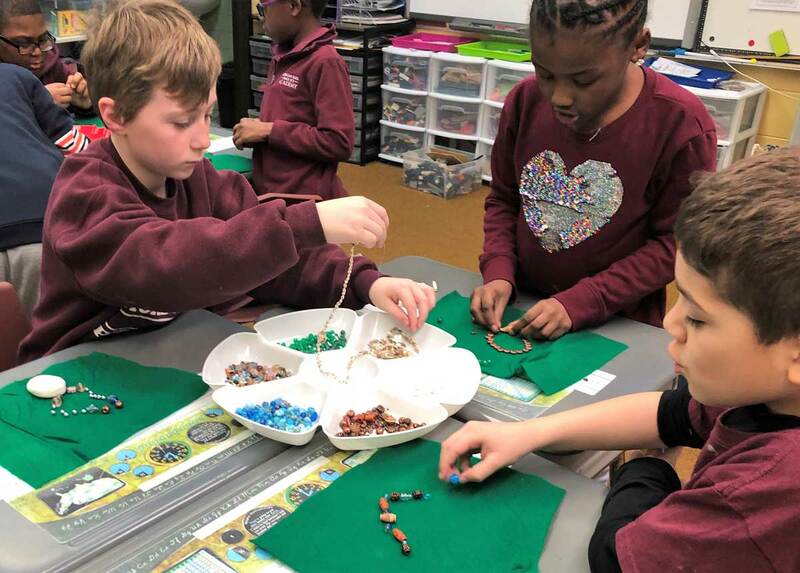 Each day students traveled to a particular area of the city to explore and learn more about how it contributed to the history and expansion of Chicago. Our focus began in the downtown area and broadened to the Old Town, Lincoln Park, Gold Coast, and River North areas to the north and the Hyde Park and Woodlawn areas to the south of the city. The trip included visits to many popular sites in Chicago including Cloud Gate (commonly known as the Bean), Willis Tower Observation Deck, Federal Reserve Bank Money Museum, Millennium Park, Chicago History Museum, Lincoln Park Zoo, Oriental Institute, Chicago Cultural Center, Museum of Science and Industry, and the Driehaus Museum. 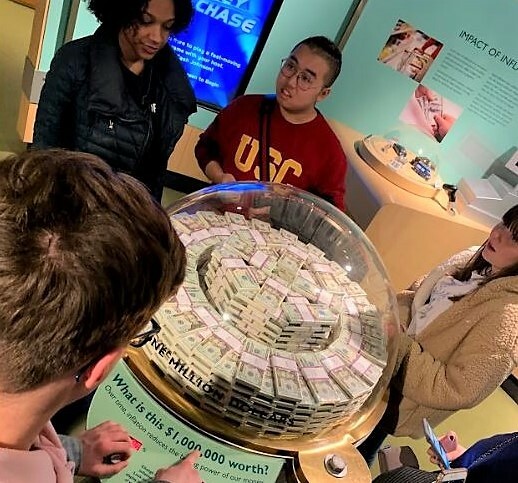 Students learned about Chicago’s architectural history and how it birthed the skyscraper, the history of banking and why Chicago became a major financial and banking center. 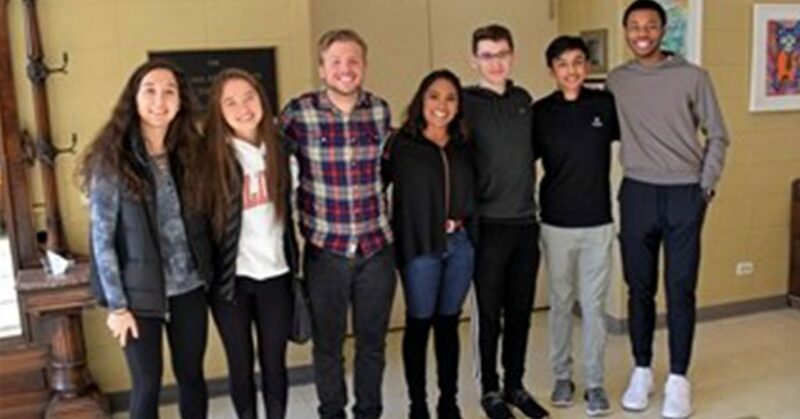 Students explored Old Town and Lincoln Park, two areas which survived the Chicago Fire and learn how they grew from a haven for counter-culture and has become an area for young professionals and confirmed city dwellers. We visited the Gold Coast area where the wealthy residents moved after the fire and discover the more recent evolution of the River North area which changed from an industrial area into a popular area with mansions, high rises, restaurants, and nightlife. 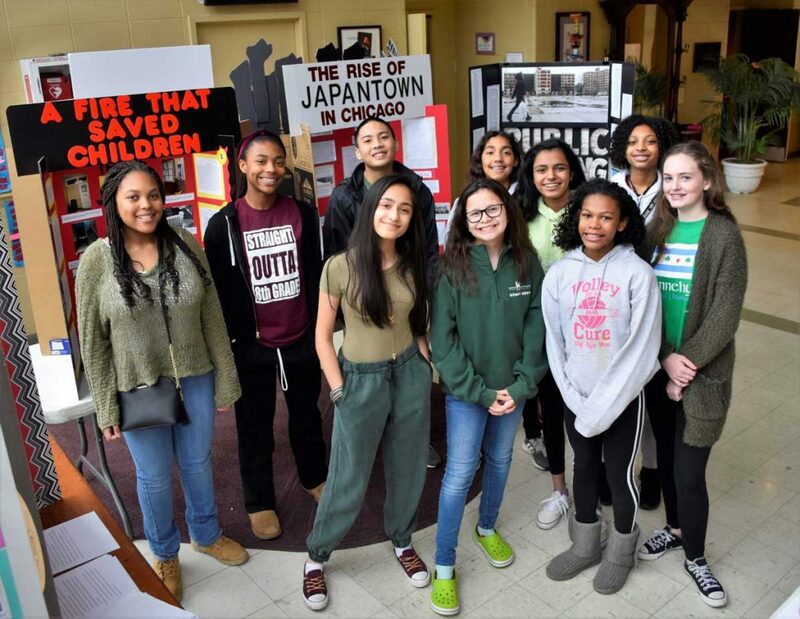 Students discovered the history and contributions of the Woodlawn and Hyde Park area with the Chicago World’s Fair in 1893 and the University of Chicago. The students really enjoyed our tour guide, who taught us a lot of history and lore about Chicago and its past and present. This project focused on the mind-body connection. 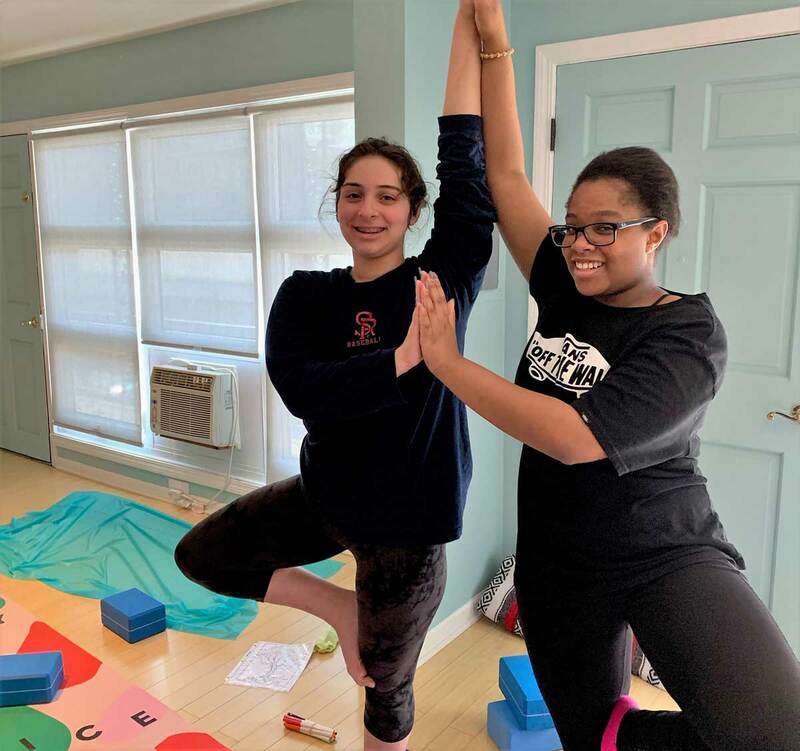 Students took daily yoga classes and learned about and participated in other elements of the Yogic lifestyle, including Hatha Yoga, Vinyasa, Yin Yoga, Restorative Yoga, aromatherapy, and reiki healing. They learned about mindfulness, meditation, and how find balance in the stress of our daily lives, capping each day with reflection and journaling. In addition, students completed a small service project, creating coloring kits for teen patients at Lurie Children’s Hospital. It was a wonderful week-long journey into health, wellness, and discovering your best self! 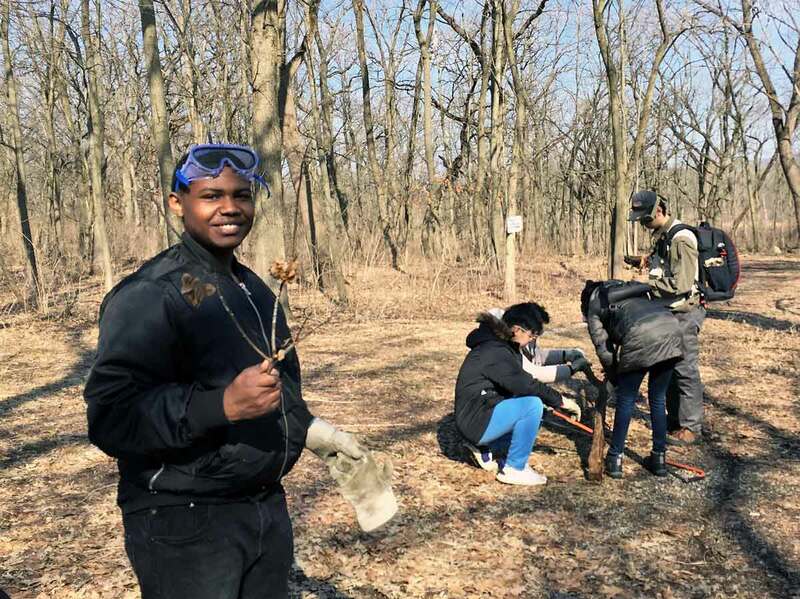 Students on this project learned about the wonderful diversity of the natural world that can be found right here in Metropolitan Chicago. 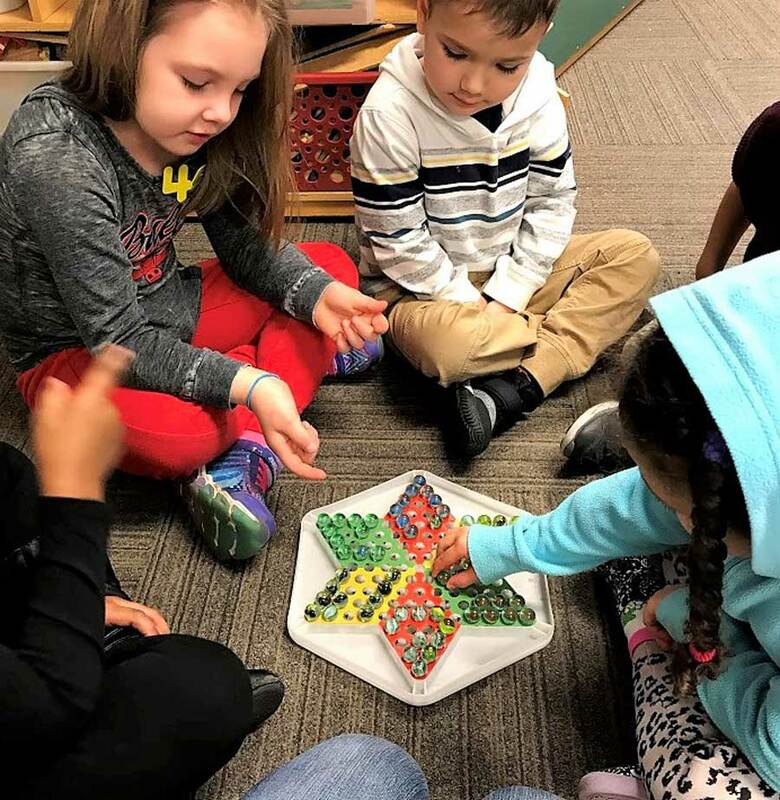 They spent four days in and around Sagawau Environmental Learning Center, the Little Red Schoolhouse, and the Morton Arboretum. 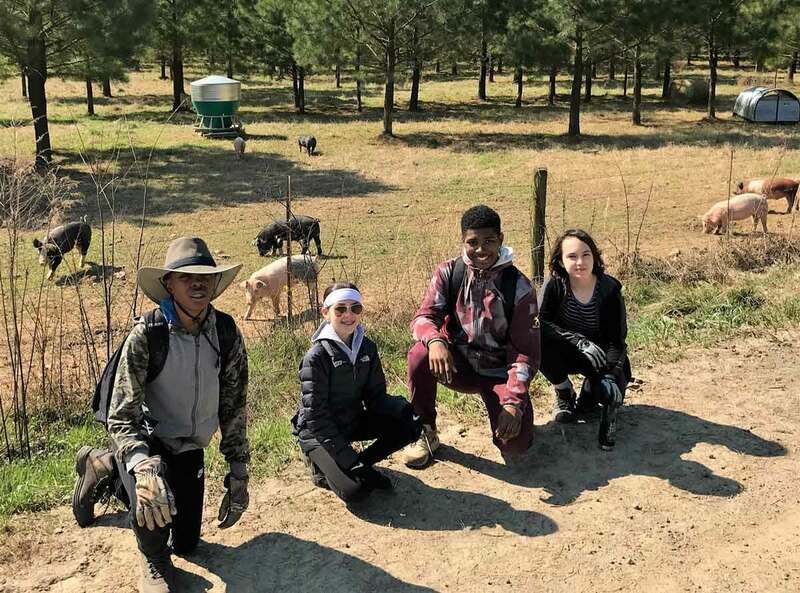 They assisted in the removal of invasive species, released an endangered crawfish species into the wild, hiked trails, identified fossils, hunted for trolls and experienced various culinary traditions such as the famous Dell Rhea’s Chicken Basket on Route 66. 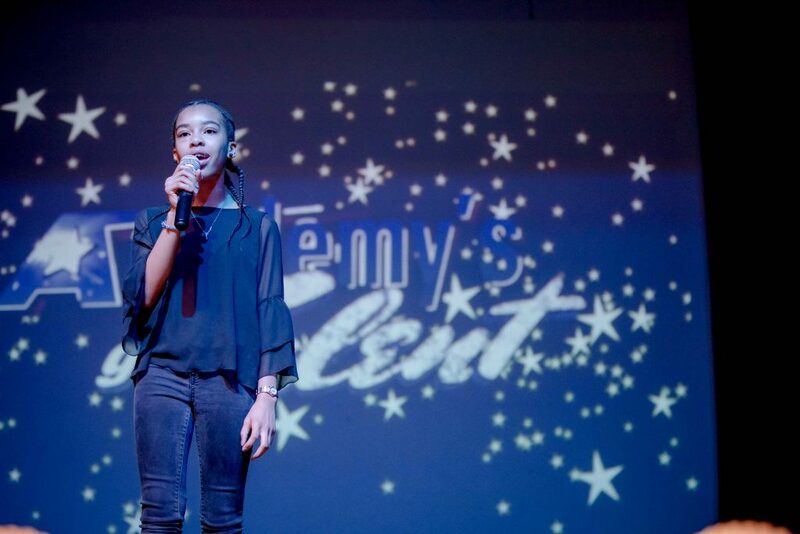 Eighth Grade – Washington, D.C.
As a culminating experience for their middle school program, students visited our nation’s capital, seeking to understand the role of an American citizen in a global world. 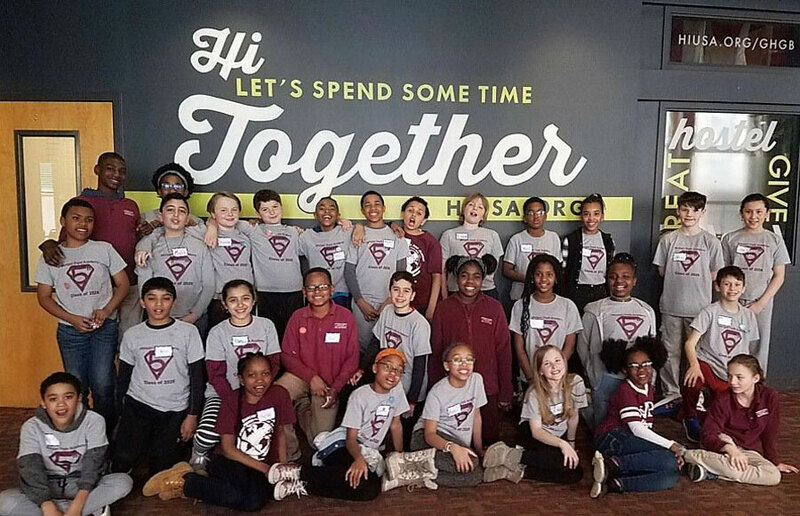 In Washington, students learned how the definition of “citizen” has evolved over time; history came alive as they visited major landmarks and museums of our nation’s past. 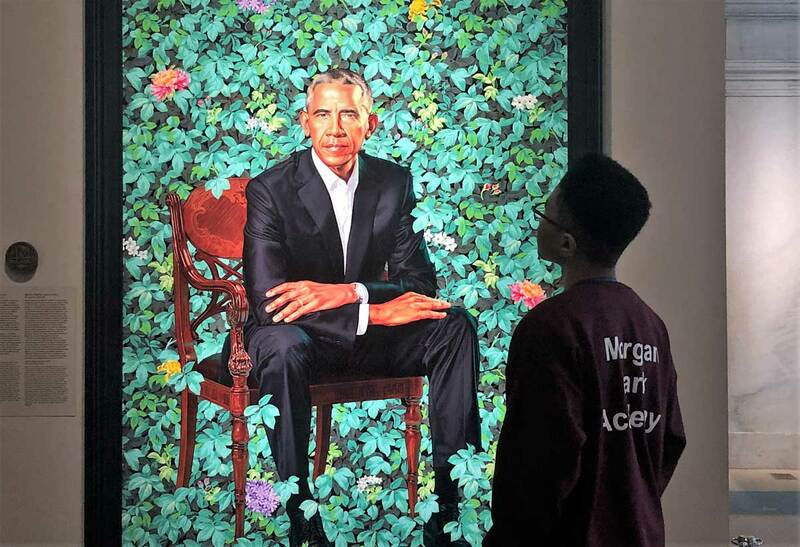 By this time in their curriculum, students have begun to see themselves as an important participant in the timeline of history. 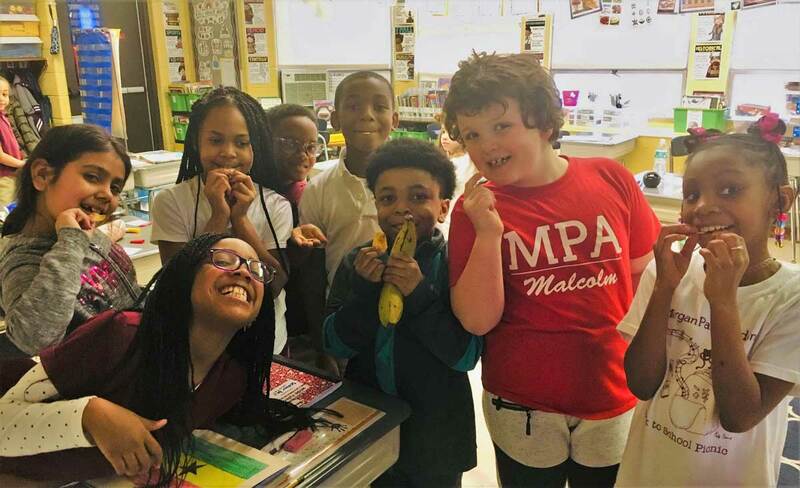 Students learned about global issues like poverty, hunger, and environmental degradation. 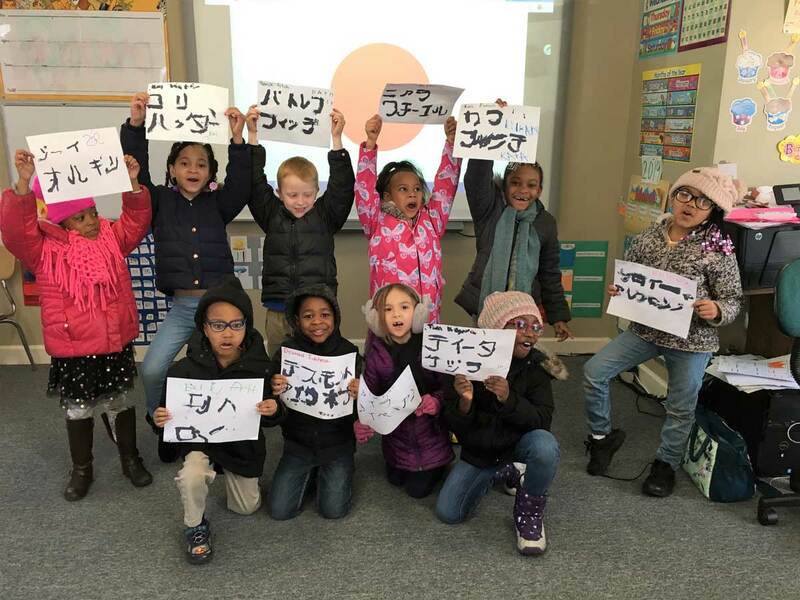 They spent the night in a Global Village, experiencing lifestyles from around the world. 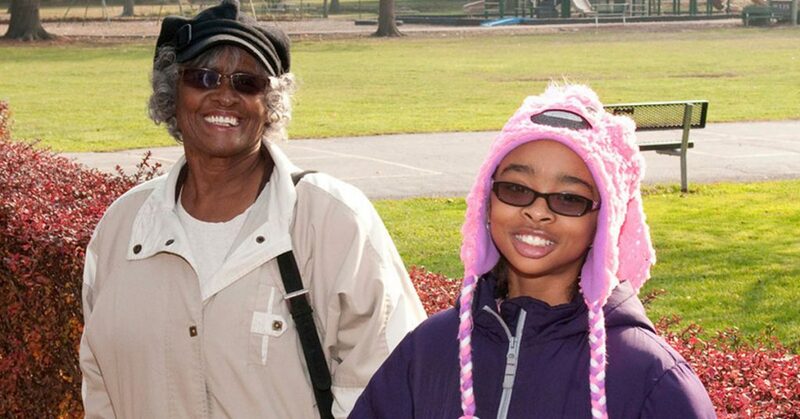 Participants also engaged in service work, community building, and hands-on educational learning activities. They learned about hunger, sustainable development, caring for the earth, and how livestock can help change the lives of people everywhere. 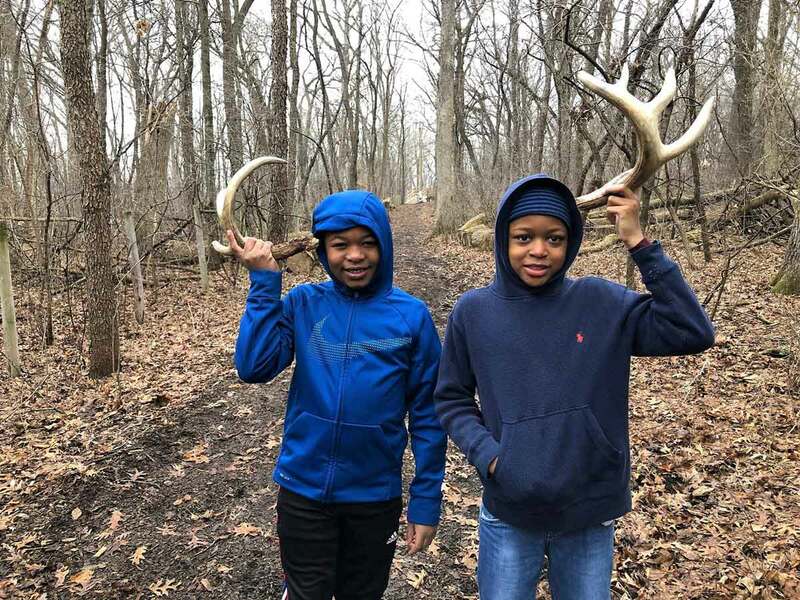 Students immersed themselves in the natural environment for ecosystem exploration and study, working together with their peers and learning about their role as a citizen of the earth from an environmental point of view.